Lenox Ges. fur Schiffahrt u.Aussenhandel mbH & Co. of Hamburg's 1966 Jos. 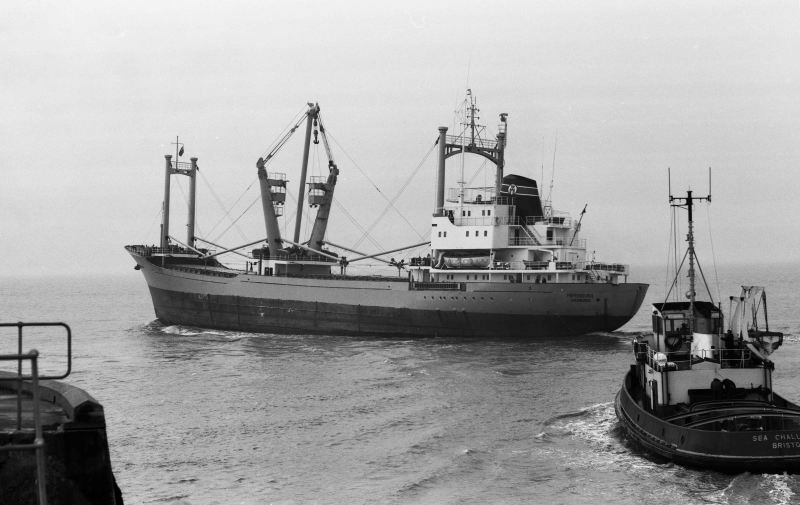 L. Meyer, Papenburg, built PAPENBURG is seen sailing from Avonmouth fifty years ago today, on 28th February 1969. 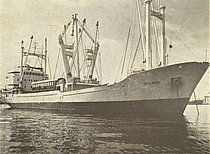 She had sailed from Esperance (Western Australia) on 17th December 1968 bound for Hamburg, calling at Suva on 31st December. Laid up at Mina Saqr from 9th October 1994, HAROZ sank in tow on 18th July 1995 on a final voyage from Bombay to Alang for breaking.